Provides realistic weapons training. 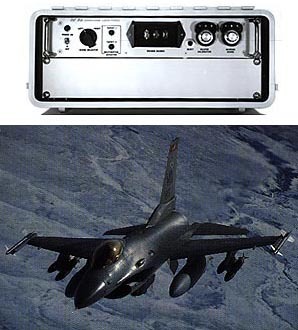 Consisting of acoustic transducer sensors and a Data Reception Display Unit, the system senses the shock waves from passing projectiles and converts these waves into electronic signals for miss-distance measurement and display. The DA-3 Strafe Scoring System enables pilots to determine automatic weapons firing accuracy. A typical strafe range utilizes four targets. When the projectiles penetrate a predetermined, adjustable scoring zone, a count is displayed and manually transmitted to the pilot. Scoring Area: 200 to 400 sq. ft.
Customers: Over 150 Model DA-3 air-to-ground strafe scoring systems are installed in the U.S. and in 20 free-world nations.